There’s going to be a few posts over the next few days – isn’t that exciting? first things first… I’m trying to make a decision. I bought this awesome fabric on special (just at spotlight, but isn’t it so me). 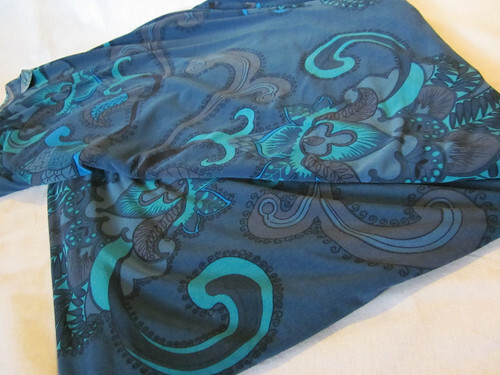 It’s a jersey knit kind of fabric (pretty sure it’s just polyester, but it has a lovely drape) and i know i want to make a dress with a sort of 70s-ish feel to it but i can’t find the right one! 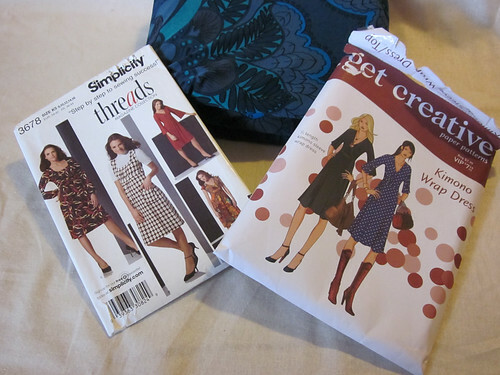 I have these two in my collection (i’ve made the one on the right before and it’s an ok pattern – very drapey and has once or twice been accused of being a dressing gown!!). I would need to make a larger size than last time though and it may not suit as well now. The one on the left i can’t say too much about except i like the style and it doesn’t seem to complicated. I would be looking at doing the highlighted version. 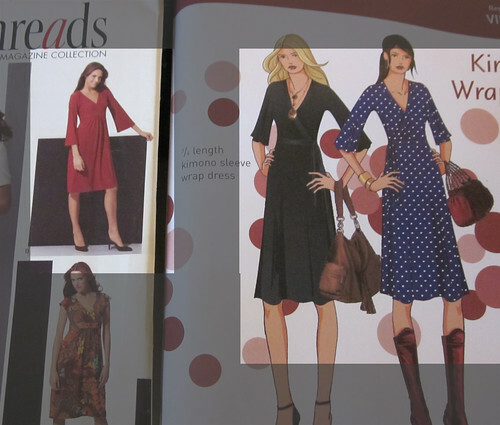 They’re all available as immediate downloads from sewingpatterns.com or as paper patterns (except no. 2) which i’ve found reputable in the past… but i just CAN’T DECIDE!!! what do you all think? I’m leaning towards no. 1 from sewingpatterns.com i think, but would love your weigh ins! Aaaanyway, I managed to get all the machine sewing done on my skirt and am left with a few handsewn things to do (belt loops, belt and buttons) but have a little bit of an issue. 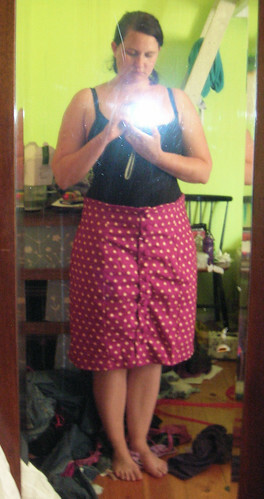 As you can see in the link above, this skirt is designed to be a high waisted skirt with the hem above or on the knee. There are two ways i can proceed from here. There is a possibility the fabric may say NO (as you can see it’s puckering a bit, but not sure how much of this is because of the pins) and i should/may be able to iron it into submission. I removed the ‘darts’ in the front seam cos i hate them anyway and sewed those seams flat instead, so that shouldn’t really be a problem. thoughts? opinions? the good news is they’re buttons. If i do it one way and hate it i can try the other way. of course i don’t really want to unpick and resew 12 buttons! apologies for crappy mirror pics… and yes this room is green. very green.